Founders, Lenore & Tom Becker whose daughters Mary & Anne inspired our name. Sam Lieberman is known as The Guy Behind the Counter. For over 50 years, Sam and his wife Dorothy kept a commitment to quality. 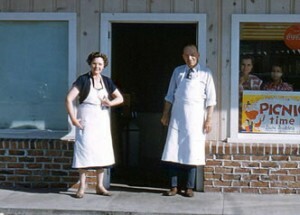 In 1958, Sam Lieberman took over the little ice cream parlor and, with his wife Dorothy, carried Marianne’s commitment to quality forward for more than half a century. Inspired by the quality of locally available ingredients and his own sense of fun, Sam began experimenting with the flavors. 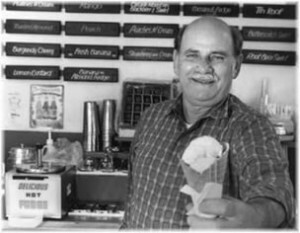 He invented techniques for ensuring excellence and created flavors like Blue Bubble Gum, Alice B Toklas Fudge Brownie, (after the Peter Sellers film), Watermelon Sherbet, Cantaloupe, and Sam’s Special Rum Raisin. Over time, Sam created more than 250 recipes and expanded the daily offering from 13 flavors to more than 75. Sam and Dorothy operated Marianne’s into their 80’s before retiring, taking time and care in choosing their successors. 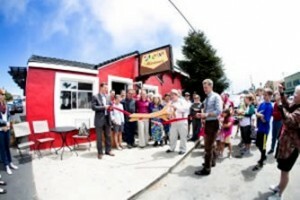 Current owners Kelly Dillon and Charlie Wilcox carry on the Marianne’s tradition.